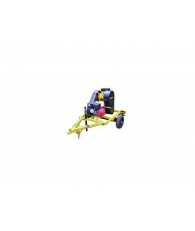 This amazing rock crusher is ideal for the gold prospector interested in a light-weight and economical high-speed machine. Material is gravity fed into the hopper and drops into the center of a high-speed tube. The centrifugal force throws the rock into a hardened steel impact wall at speeds in excess of 400 miles per hour. The harder the rock, the easier it shatters into instant powder. 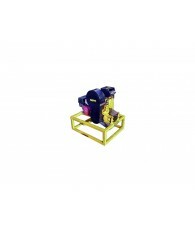 If any uncrushable particles are fed into the unit it will automatically pass them without damage or hesitation. 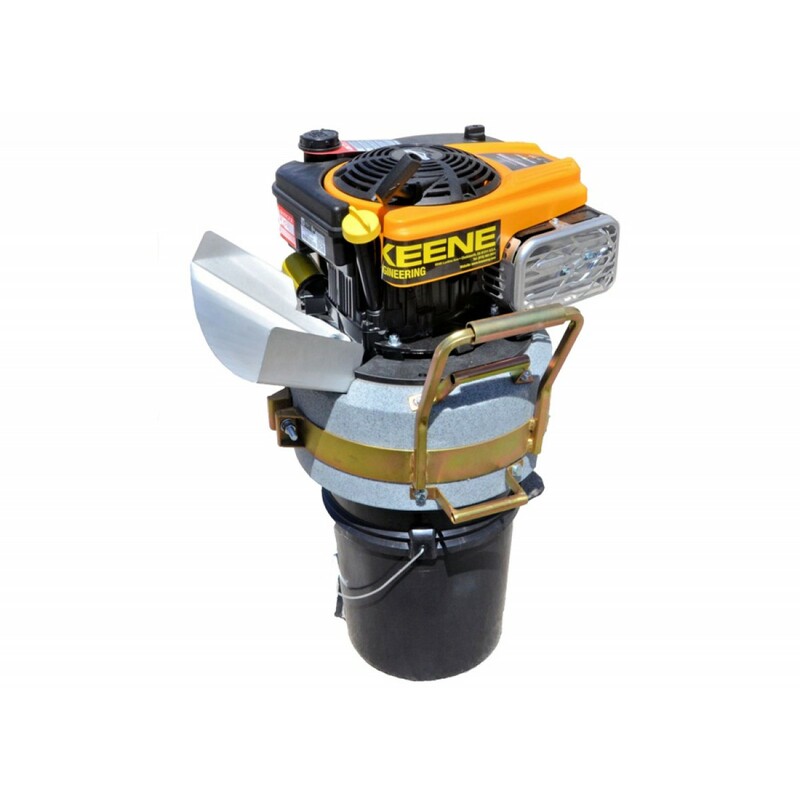 All material after crushing then passes automatically into a five-gallon bucket sealed chamber providing a low dust environment. Ideal for crushing all types of quartz, schist, limestone, etc. This new machine is also ideal for crushing black sand concentrates to release any encapsulated micron gold for further processing. 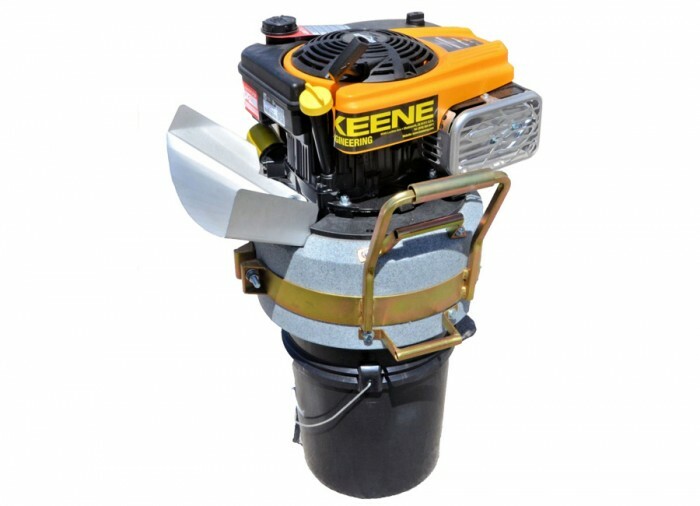 Mounted to a vertical 5 horsepower engine, capable of producing up to 2 tons of grind in just one hour in a single pass. Multiple passes may be desired for finer grinds. Designed primarily as a pilot mill and not a production machine. The maximum rock size that this unit will handle is one inch. Weight 85 lbs.